The Funkier Altea BAN-758 Bandana is ideal to wear under your helmet for extra warmth on evening rides keeping you nice and warm. The BAN-758 bandana also features ventilation so you won't over heat if it get's too warm. This cycling specific bandana features absorbent towel panels to wick away any sweat before it drops into your eyes! Smart look jersey short sleeve top from Funkier. Another popular one, as it is so versitile and comfortable, for all sorts of exercise. With a relaxed rider cut, this one is 100% breathable, with a full length zipper with pulling tag for ease. We stock in a range of stylish colours and different sizes to cater for all. This one is the Carbon/Yellow. These Funkier Apex-Gel S-255-D8 Mens 14 Panel Gel Shorts in Black are great quality mens cycling shorts with gel padding insert. 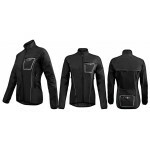 Covered in antibacterial fabric the gel insert provides great comfort while in the saddle. 14 panels provide a great fit making these some of the comfiest mens cycling shorts around. The Funkier Apex-Gel S-255-D8 Mens 14 Panel Gel Shorts also feature comfy leg grippers to stop them riding up your leg. The Funkier Atheni WJ-784-LW Ladies Long Sleeve Cycle Jersey in Black/Red is a stylish looking women's cycle top. Not only does it look great though, it's also got a great fit due to it's cut and stays where it should thanks to a hem gripper too. There's also 3 pockets on the rear with the middle one being waterproof so it's ideal for your phone. The Funkier S-137-W-C12 Pro Ladies Winter Cycling Tights are a warm option for women riders in the winter. These leggings are thermal yet breathable and extremely comfortable with the waomen's specifc cut and antibacterial padding. They also have a reflective zip at the rear for added safety in low light. All in all Funkier S-137-W-C12 Pro Ladies Winter Cycling Tights are a simply styled yet high quality pair of women's cycle tights. The Funkier WJ-1403 Storm Ladies Waterproof Jacket is fantastic quality waterproof cycling jacket cut specifically for women meaning you'll get a great fit. This ladies cycle jacket folds away into a compact pocket so it's ideal for commuting or the weekend cycle breaks. It also features reflective zips and straps. Full specs for the Funkier WJ-1403 Storm Ladies Waterproof Jacket below. This option is black, other colours available. Funkier Attack WJ-1327K Kids Waterproof Jacket - Red. Brilliant Kids Jacket from the team at Funkier. Stylish and bright, avaliable in a range of sizes please see below. 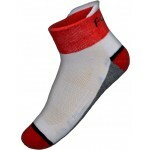 Unisex sock designed specifically for cycling. Funkier have incorporated some neat features which make these socks well worth the money. 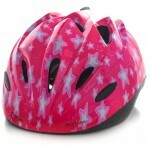 Funkier Talita Kids Helmet - Pink Stars. This is a great helmet for your lovely little ones, who enjoy riding around on their bike. It covers all bases. Fab stylish bright colours to suit all tastes, whilst giving you as the adult peace of mind that their heads are protected, as saftey is taken into high regard with this design with the back being almost vertical to give a full coverage. Please see below for the full spec - check out all the designs - so many to choose from! 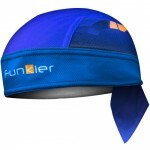 This neck warmer from Funkier is worth it's weight in gold when out riding in the colder winter months. 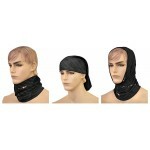 It's unisize so fits all and it's also multi purpose so you can use it over your head as a head warmer/skull cap if you want. The Funkier HSW-01 Winter Multi-Function Neck Warmer also has quick dry protection so if it does get wet it will dry quickly so you won't get cold. We're big fans of all of the Funkier clothing range at The Bike Factory. Funkier cycle clothing focus on quality yet are still great value. All our staff cycle in all conditions and more often than not, they're wearing at least some Funkier cycle clothing. 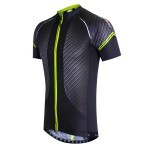 Browse our large selection of Funkier clothing at great prices online at www.ukbikefactory.com. 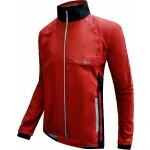 The range includes both mountain bike clothing and road bike clothing for men, women and children. If you don't see something you want why not give us a call on 01663 735020 and we'll be glad to help as best we can.